Knits, bows, and ikat...what's not to be completely smitten by? 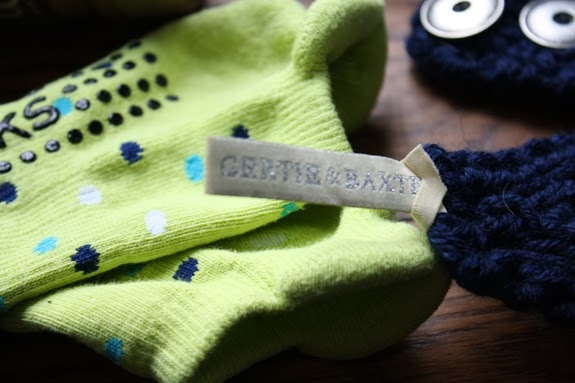 Those things are exactly what you'll find in the Gertie & Baxter shop. Hailing from LA, Jen and Julie are interior designers who say that they noticed remnant pieces here and there in their studio and decided to start making unique women's fashion out of them. Now, their shop and Etsy store houses some of the most creative accessories on the market. Their feminine bows and colors as well as their product versatility will surely keep ladies shopping with them for years to come. I gifted my bridesmaids & house party their grosgrain ribbon bags, and I wear one of their knit headbands to every 6 AM Pure Barre class that I drag myself out of bed for. Today, you have a chance to win a navy knit headband of your own! Please leave a contact email in one of your comments. These headbands are so cute, what a fun giveaway! I also followed you on FB. Everything is so adorable! Thanks for the opportunity! Oh I love the lace boot socks! So cute! Too cute. Would love to win.